Hotel Chocolat have some lovely Mother's Day Chocolate Gifts this year. With a gorgeous range of Mother’s Day gifts to choose from, you can make sure mum is well and truly pampered on her official day off – because it’s all about mum on 18th March 2012. And if you can’t be there in person we can deliver your gift and personal message for you – from specially made Mother’s Day chocolates, to luxurious champagne truffles. I was sent a Delicious All About Mum H-Box Selection this week to test and enjoy. 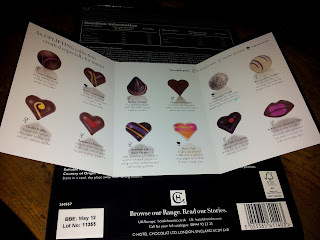 I'm already a huge fan of Hotel Chocolat just in case you didn't already know so I'm always delighted to receive any of their gifts. The All About Mum H-Box Selection is an irresistible array of beautifully hand-finished recipes with something for every Mum to love – including luscious truffles with Champagne and fruity little numbers with cherry, strawberry and blackcurrant, dreamy liquid caramels, stunning hearts, luscious lips and much more! 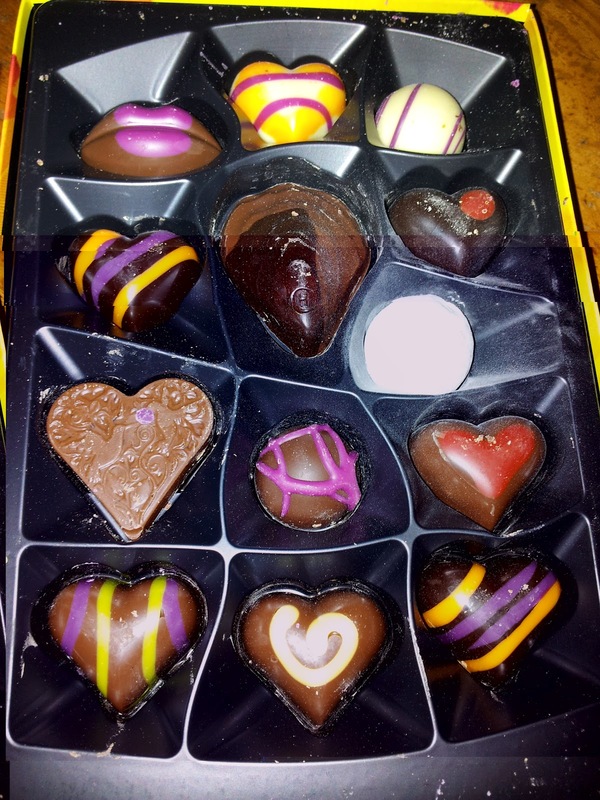 The box contains 14 chocolates and holds a weight of 140gs. I loved these! 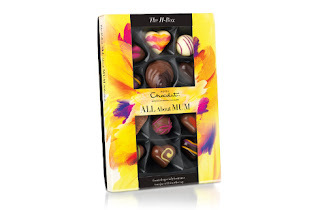 A pleasant mix of fruity flavours in all different chocolate casings. 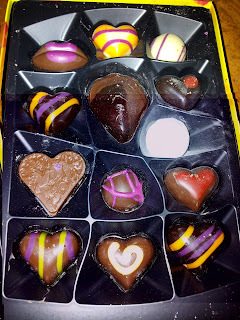 There's both cheeky alcoholic truffles and sweet non alcoholic tastes too. There really is something for everyone. For just £12.00 I must say this box is a little slice of heaven. I enjoyed mine with a nice glass of wine on my Birthday this week. It was bliss full. The bright colours are just beautiful. I love the little Menu card tucked into the back of the box. I think it was a lovely added feature. Very cute.